McDonald’s Japan is known for its amazing marketing promotions, which include everything from golden chicken nugget giveaways to interactive Twitter campaigns that reveal customers’ character types just from the way they drizzle pumpkin sauce on their Halloween fries. The fast food giant is now dazzling customers in Japan once again, this time with a new addition to their “affordable burger” range, which currently consists of a Chicken Cheeseburger, dubbed the “Chiki-Chee” and an Egg Cheeseburger called the “Eggu-Chee“. 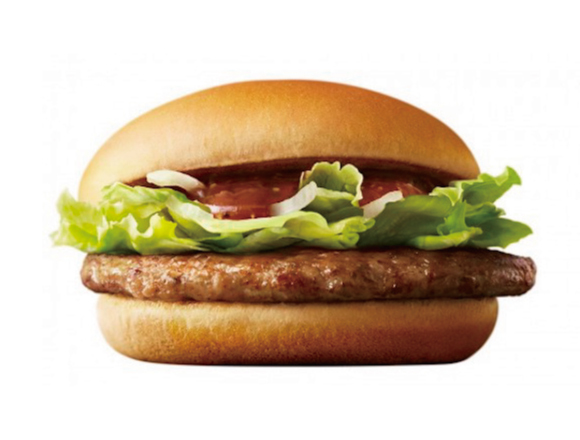 Now joining the 200-yen (US$1.77) affordable burger range is the “Shoga-Yaki Burger“, which takes its inspiration from “Shoga-yaki“, a popular fried pork and ginger dish that’s usually made in Japanese homes.